Savona : Free Multipurpose WordPress Theme - Beautiful Themes! 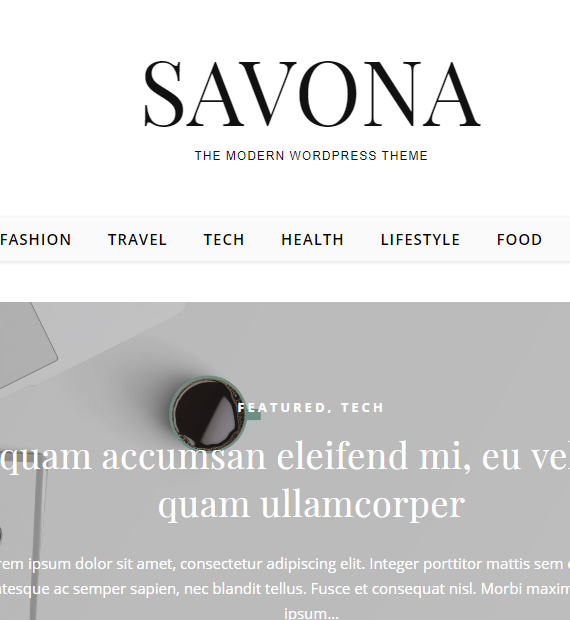 Savona is a simple and clean free multipurpose blog theme. This theme is suitable for creating different types of blog, fashion, lifestyle, professional, health, travel, etc. It is a fully responsive theme that looks awesome on all the device from desktop to tablets. Also, it is compatible with WooCommerce that helps to do an online business easily. The theme is SEO friendly that helps to rank your website in the top of Google. One of the most powerful tool that supports your overall blog, stay updated with all the RSS feeds that lets you access the recent updates on your site!